A few months ago, Sacri (a friend of allroundgeek) mentioned to me that he had acquired the first six Harry Potter films in full HD, and would I be interested in watching them with him? Of course I had watched them all before, but I wouldn't mind refreshing my memory before watching the 7th film. After that, almost every time I would see him we would say: "we still have those Harry Potter films to watch! ", but we never got around to it. Thus begun a Harry Potter Marathon Week in which we watched Harry Potter and the Philosopher's Stone on Sunday. Harry Potter and the Chamber of Secrets on Monday. Tuesday brought the first double feature and we watched Prisoner of Azkaban and Goblet of Fire, followed by another double feature on Wednesday for Order of the Phoenix and the Half-Blood Prince. Which brought us to Thursday and a trip to the cinema for Harry Potter and the Deathly Hallows: Part 1. 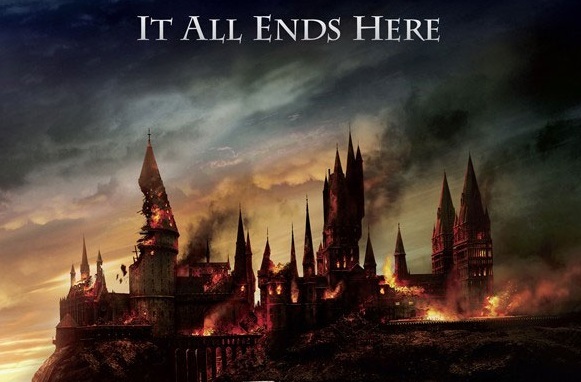 It was a very satisfying experience and it actually improved the screening of the Deathly Hallows immensely, because we still remembered all the characters and the plot details that we would otherwise have forgotten (bear in mind that neither of us has read the books). The Harry Potter films have gradually taken for granted that you have watched the previous films/read the books, and they stopped explaining everything that happens on the screen, so they are rather hard to follow for a casual viewer. Harry Potter and the Deathly Hallows: Part 1 is dark from minute one and despite some occasional comic moments it keeps getting darker. This is definitely not a kid's film anymore. It is for those kids that read the first book when they were 10 and are now in their 20s. 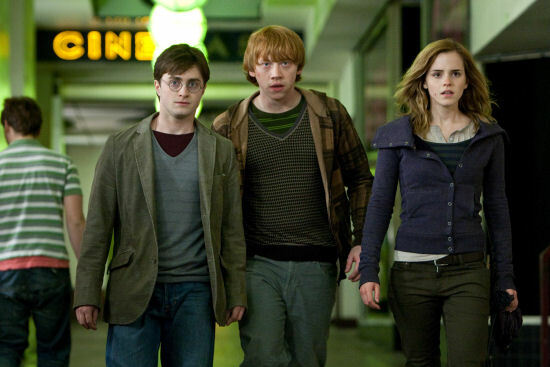 The three main characters have grown as well and this is the first film that takes them out of Hogwarts (not a single scene in the film takes place there) and puts them out in the real world without an older, wiser adult to guide them when they need help. 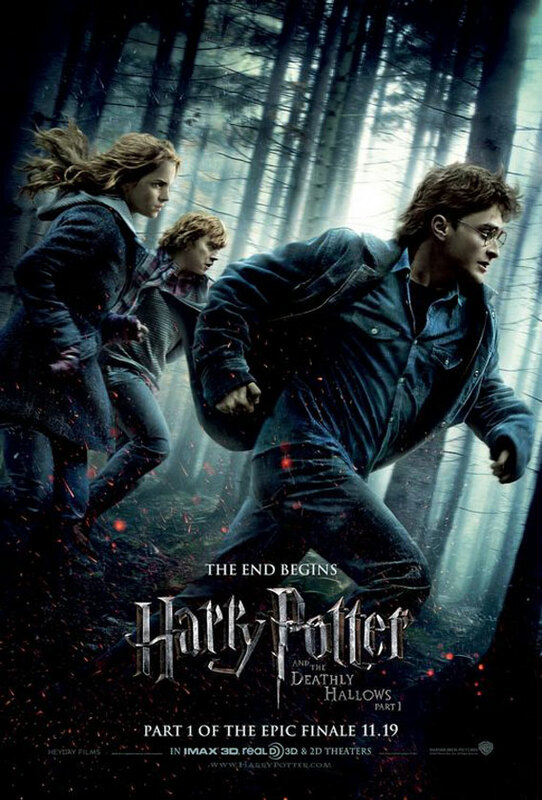 Harry, Hermione and Ron are on a quest they barely understand, without knowing all of the facts, and there are moments when they are completely lost. At those times the plot moves forwards slowly but that gives a chance for the emotional growth of the characters. It also creates an opportunity for the young actors to prove they've grown as well, and they give us their best performance in all the films (especially Emma Watson). Speaking of performances, all the actors in the secondary roles, no matter how small, are very convincing. And how could they not be, when you have actors like John Hurt, Helena Bonham Carter, Bill Nighy, etc, in those roles. It is actually one of the studio's greatest achievements, that they have managed to keep all those big name actors in those small roles, for all those films. 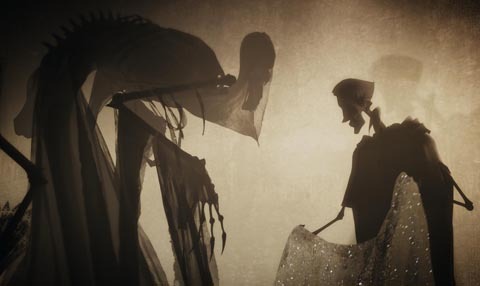 A special mention should go to, arguably, the best part of the film, which is the animated Tale of the Three Brothers, expertly narrated by Emma Watson. The animation is exquisite and it completely absorbs you. I could not take my eyes off the screen for the duration! The biggest drawback of the film is that it ends. I suspect that after the release of part 2, those two films will always be watched together as a 5 hour grand finale. For now we will have to wait 8 months for the release of part 2, which promises to be epic in scope and action. The finale will be epic! Neven thought I'd say this but the marathon was very interesting. Everything is starting to make sense now, even the first two films which I can't say I enjoyed that much first time round. Watching them all in succession gives you a diferent perspective and at the moment it feels like the Deathly Hallows is the equivalent of the Empire Strikes Back for the Harry Potter films (no I will not say saga). Fast forward 8 months please, I need another fix. I saw the Deathly Hallows earlier this week. The half an hour or so, i could not understand a thing. I didn't remember anything from the previous films and nothing made sense to me. I finally started to remember things and then i started enjoying the film. Over all it was very entertaining. Thats the diference we noticed between our couple (EraserheadX and me) and the couple sitting in the row in front of us. They were bored, didn't have a clue wtf was going while we were staring at the screen with dropped jaws and saliva dripping onto the empty pop corn carton. We didn't get pop corn. We got nachos with cheese! You guys are a couple?